HP(s hpq) is showing off two new tablets, as well as a new point-of-sale retail system, ahead of Mobile World Congress. 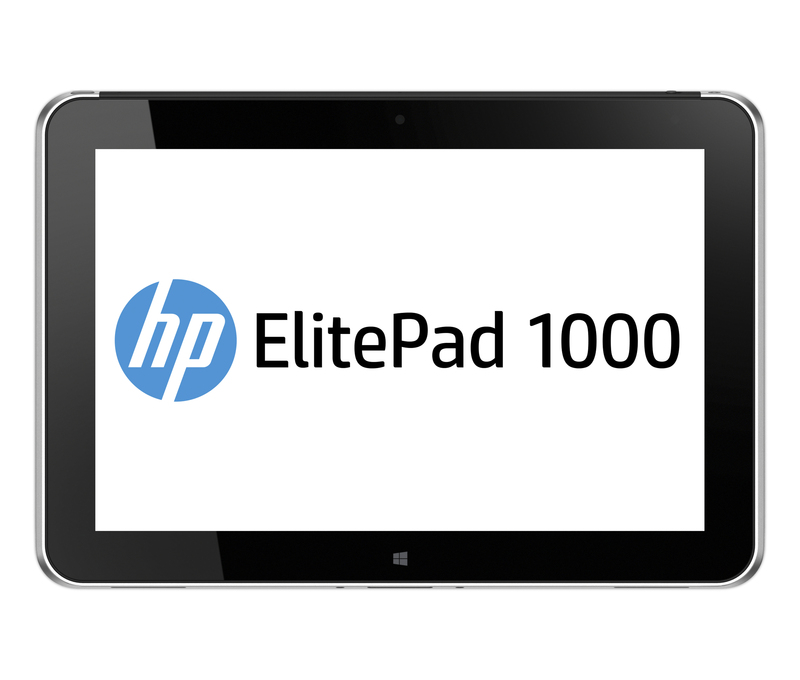 Both the ElitePad and ProPad tablets feature Microsoft’s(s msft) Windows 8.1 and 64-bit compatibility for a focus on business, and the ProPad supports HP’s new TX1 POS Solution. Let’s start with the ElitePad, which will be the first device to go on sale in March. The 10.1-inch tablet is HP’s thinnest yet. It measures 0.36 inches thick and weighs 1.5 pounds. The tablet should have a premium look and feel to it, thanks to an aluminum unibody chassis that meets military standard 810G for durability. The ElitePad features a 1920 x 1200 Gorilla Glass 3(s glw) display that is viewable outdoors, and is powered by a quad-core Intel(s intc) Atom Bay Trail processor. It also features optional 4G LTE connectivity via a Qualcomm(s qcom) GobiTM modem. A suite of accessories — including smart jackets, adapters and a docking station — compliment the tablet’s business ambitions. It will start at $739 when it begins shipping in March. The ProPad, meanwhile, is sort of like the ElitePad’s younger sibling. It doesn’t feature quite the same level of high-end specs and trimmings, though it too has a 10.1-inch 1920 x 1200 display and should perform just fine with a quad-core Intel Atom processor. 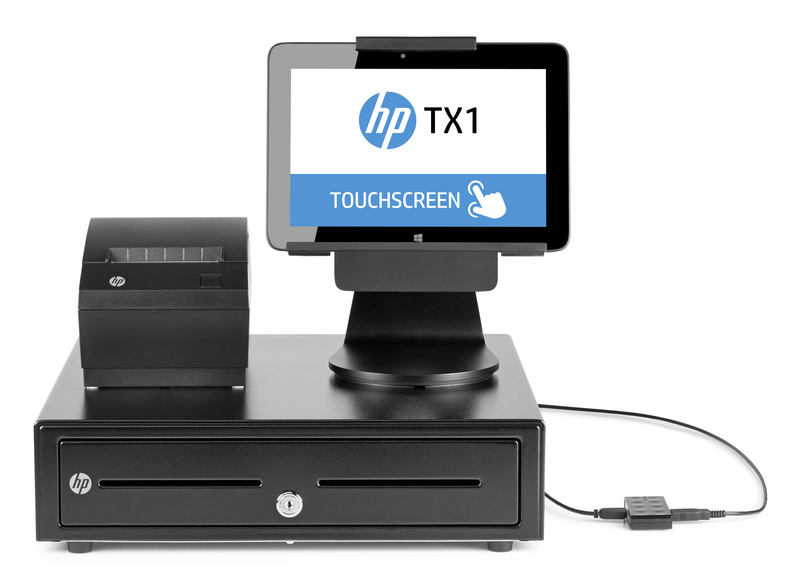 The ProPad also works with a number of accessories, including HP’s new TX1 POS system. TX1 is a tablet-centric point of sale system designed for small business retailers (think hospitality and restaurants). It includes a stand for the tablet that can turn and tilt to help capture a signature. And as you can see above, it also come with a printer for receipts and a cash drawer, which makes for a full-on register setup. The ProPad is expected to be available in April, while the TX1 POS should come some time shortly after in May. There’s no word on a price for the ProPad yet, though I expect it to be less than the ElitePad. And the TX1 price will vary by configuration, though a starting point hasn’t been announced. Provided they aren’t too pricey, the combination could be a good option for small businesses.